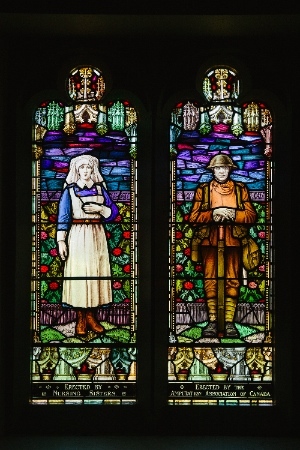 These were erected by the nursing sisters and the Amputation Association of Canada as part of Canadian Memorial’s collection of stained glass windows. Canadian Memorial United Church is once again opening its doors on Sunday (November 8) to provide a unique Remembrance Day Sunday service, along with an open house providing public tours of its one-of-a-kind historic stained glass windows and Books of Remembrance. Remembrance Day Sunday begins with the soulful sounds of Vancouver’s Universal Gospel Choir, coupled with guest speaker Rev. Stan McKay. McKay was raised at Fisher River Reserve in Manitoba and sent off to a residential school 480 km away when he was five. Decades later this residential school survivor would become a major leader in the United Church, working tirelessly to have the church apologize for its role in residential schools. The special service all takes place in the Gothic-inspired church at 16th Avenue and Burrard, with its stunning heritage windows. Canadian Memorial’s history was built on the fundamental principle of peace. Canadian Memorial is devoted to peace. After returning from the trenches of World War I and seeing the horrors and perils of war, Rev. (Lt.-Col) G.O. Fallis – a young clergyman who worked on the front lines – came back to Vancouver and began campaigning for a memorial to peace. Thanks to his fundraising efforts Canadian Memorial was raised, honouring the sacrifices of all Canadians during wartime while articulating a Christian cry for peace and an end to violence. Those themes are still prominent for the congregation. The church houses 10 stained glass windows: one for each province and the Yukon Territory (reflecting the country when the church was built), and includes a Chancel window and an All Canada window. Each window contains a historical event that pertained to a province at the time of its creation. 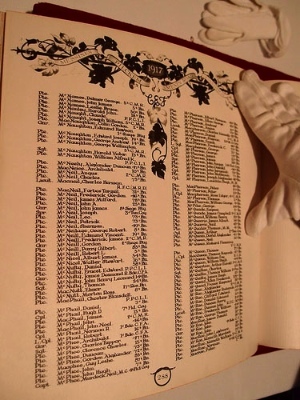 The Books of Remembrance contain the names of all soldiers who gave their lives in World War I, World War II or the Korean War. 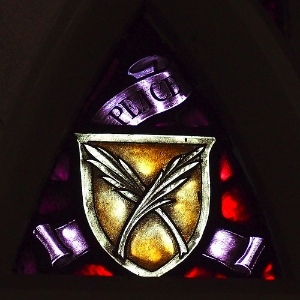 During the open house the public will have the opportunity to tour these windows and hear their stories, and to view the pages in the Books of Remembrance – the only copy available outside of Ottawa. These books contain the names of all the soldiers who gave their lives in World War I, World War II or the Korean War in a quest for hope and peace. With the help of historical experts, descendants will be able to look up their family history in this unique and poignant way. Historical information can be found here. The Remembrance Day service begins at 10:30 am. The open house and viewing of the Books of Remembrance is offered from 1 – 3 pm. Refreshments and special music will be provided. For more information contact office@canadianmemorial.org or 604-731-3101.